Agriculture connotes crop production and crop protection both being an integral part to ensure food availability and suste - nance .The Global crop protection market is valued at USD 35 billion. Crop Protection is majorly through use of chemical inputs. However a parallel under current that flows is the steep escalation in consumer awareness related to deleterious effects of pesticide residues in food, feed and fodder as they eventually make their way into the human and food web. This information glut on eco friendly farming which the end consumer and farmer is exposed to makes him conscious of what is offered to him on the plate and eventually raises questions on what is being used to grow the food that one consumes. This basically is indicative of redefining what is offered by the industry currently for crop protection. Owing to this, Organic farming and organic food and produce are gaining importance.The global organic food market is estimated to be USD 40 Billion and is currently growing each year at the rate of 10%. It is in this segment that Biofertilizers and Bio Pesticides also grow. Simple economics and math proves that the cost of using chemical inputs increases crop production costs while also damaging soil health and ecology due to residue problems. This uneconomic farming is understood eventually by farmers which serve as a favorable context to introduce Eco friendly and economical solutions - Bio Fertilizers and Bio Pesticides. 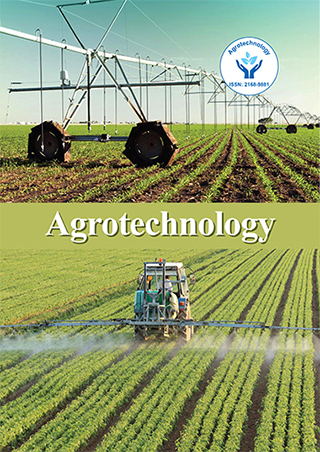 The current market share of both Bio Fertilizers and Bio Pesticides is less than 1 % of the global market However, experts opine that this would increase to10 % of global crop protection market by 2015. Agri Life , Hyderabad is contributing and playing an integral role in promoting organic farming and is com - pletely devoted to manufacturing a wide range of Bio Fertilizers , Bio Pesticides and Bio Agri Inputs. Agri Life manufactures bio pesticides of botanical and microbial origin. Derison based on Pongamia pinnata effectively works against sucking insects , scales and mites and Anosom based on Annona squamosa effectively works against caterpillar pests . A wide range of Bio fertilizers, inputs like liquid sea weed extracts, vermi compost derivatives and protein hydrolysates of vegetative origin are manufactured. Silrich is another unique composting culture consisting of a microbial consortium of celluloytic and lignin degrading microbes which help degrade biomass and convert it into enriched manure. Kohinoor a microbial consortium is an effective soil health improver that recolonises the dead pan soil with micro fauna that replenish the soil with essential enzymes and nutrients hitherto unavailable owing to abusive use of chemicals. It is now an imperative to advocate the use of organic inputs as an essential com - ponent of IPM/INM practices as only chemical / organic farming doesnt pave the way to address food security issues around the world and therefore a holistic approach is the need of the hour.